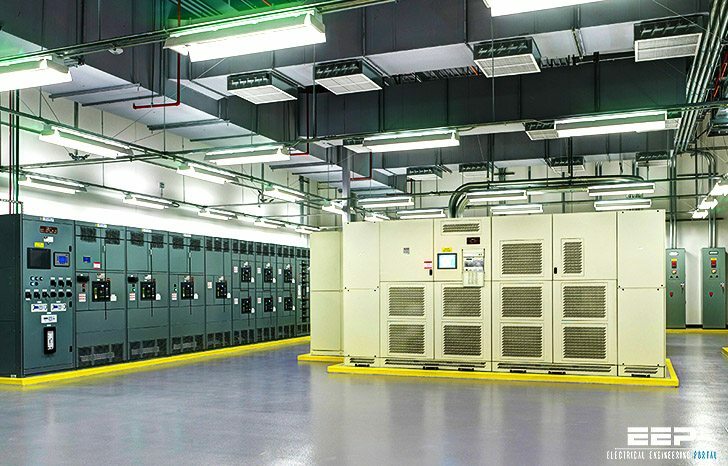 A typical datacenter can easily lose 10 percent of its power in the power distribution system. Transformers, UPS, and distribution contribute to power loss. 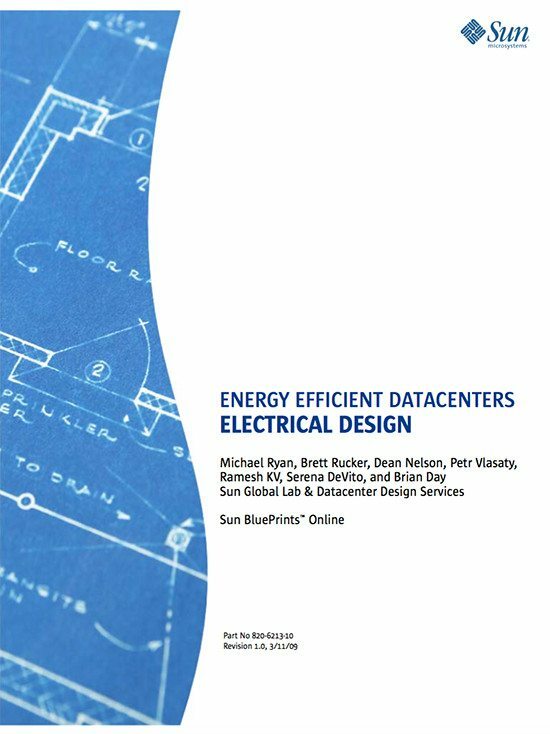 Using a number of the techniques discussed in this section, we have reduced the power distribution system loss in our Santa Clara, California software organization datacenter from ten percent to approximately four percent of the total datacenter facility load. A savings of six percent may not seem particularly significant.. Consider one of our datacenters that has an IT load of 800 kilowatts (kW). Reducing overhead by six percent is a savings of 48 kW, or $33,638 per year. Any loss due to inefficiency is converted to heat, so the savings is even greater when one considers that greater efficiency means less cooling is needed to remove that heat, another cost reduction. In the United States, most datacenters have at least two power conversion steps that require transformers. 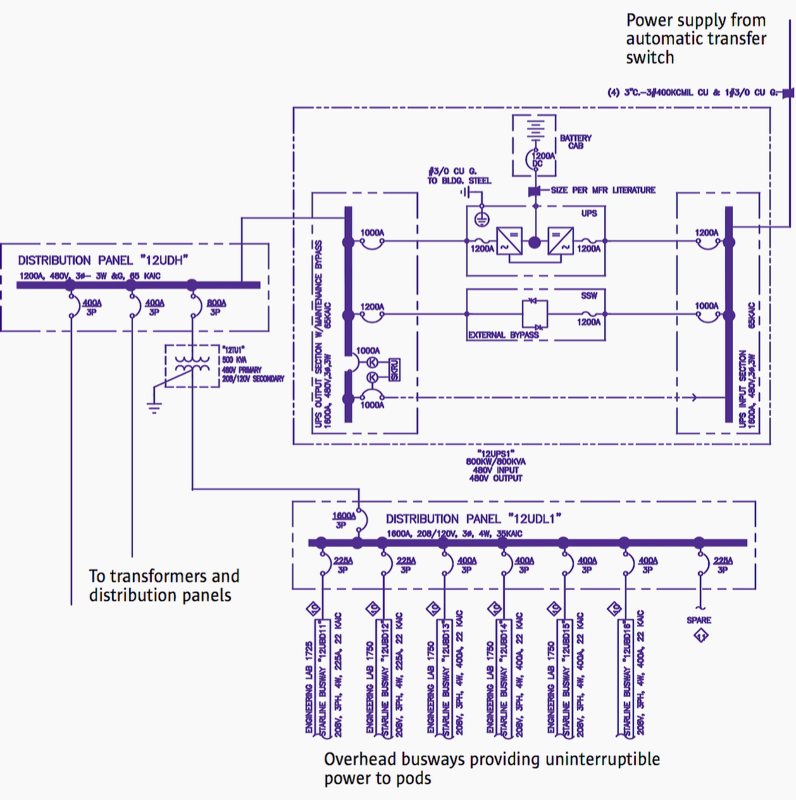 Typical transformers impose about a 3 percent loss, making them around 97 percent efficient. Using a high-efficiency NEMA TP1-rated transformer can increase performance to the mid-98 percent efficient range. This not only saves energy in the electrical system but since all transformer loss are converted to heat it also reduces electrical room cooling loads. There are many factors that contribute to the efficiency of UPS systems. However, a common factor across most UPS systems is that the higher the utilization, the more efficiently they operate. For example, if we look at a typical UPS efficiency curve, the rated efficiency of the unit is usually stated for loads greater 70% of capacity. Because of UPS redundancy requirements, UPS system are rarely operated in such a high region. Performance of the UPS begins to drop off when loads are 50 percent or less of rated loads. At around 30 percent utilization, UPS efficiency drops very quickly as utilization is reduced. Since UPS systems are a major contributor to electrical system losses it is important to make sure the UPS system is designed so that it can be operated at a higher utilization level and that the efficiency of the unit is maximized for the expected design operations.